It’s probably a safe assumption to make that pretty much everyone who knows me is aware that when it comes to food, I (Mike) have an insatiable flair for the exotic. Of course, that’s just a nice way of saying that I eat some pretty bizarre things sometimes, and I love getting a kick out of trying things that *normal* people wouldn’t touch with a 10-meter cattle prod. Enter Japan , the land of arguably the most diverse and sometimes the most insane foods ever created. This is definitely the place for me!!! Every single day I’m surrounded by new, different and occasionally barely edible foods, and you know what? I’m lovin’ every minute of it! I would like to present a special report that highlights some of the best of the best of my culinary adventures. So grab those chopsticks and get ready for some good eatin’! Enjoy! 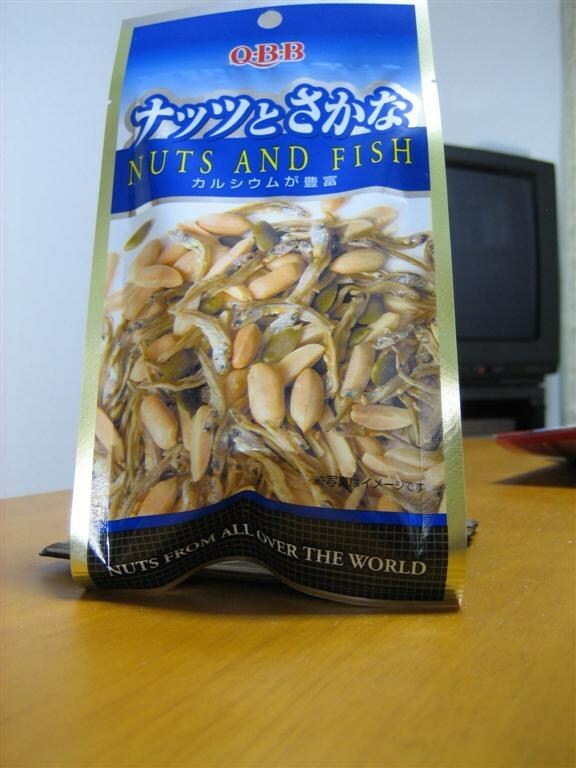 That’s right– NUTS AND FISH. You’d never believe me, but this is my new #1 favorite snack food. The little fish (which, of course, are whole) actually taste a little sweet. And no worries about bones, because these babies are so small that they crunch like french-fried onions. Pepperidge Farm’s got nothin’ on these fishies! And now, the healthiest (and arguably the most extreme) thing I have eaten while in Japan. This is a bowl of natto . For those that don’t know, natto is basically fermented (i.e. rotting) soybeans. This particular bowl of natto has been enhanced by the addition of leftover fish eggs from my fridge and some nice, fresh tofu . It was pretty good, except that the fish eggs were all strung together somehow by some unseen yet persistent membrane that I had to fight almost non-stop with my chopsticks. I’ve also tried natto with olive oil and tofu, as well as in a roll of rice. Like I said, very healthy, and VERY different. Pictures from Mike’s new job!!! Mike, I love your enthusiasm. I have to admit, that bowl of natto looks nothing like the natto I ate. Of course, mine was with breakfast . . . can it be fixed somewhat differently for different meals perhaps? The funny part is that really, hearing about natto is (my opinion) worse than eating it. By the time I finished my helping, I was convinced that I could like the stuff if I actually ate it very often. Which . . . I don’t. Just so you know, I enjoyed Jen’s post about her favored food much better. That last picture made me want to run to the toire!! But I am so glad you are enjoying the food. It’s always nice to have someone around who will eat the food I won’t touch with that cattle prod. i liked the food in the last post better. oh, carrie just said that, didn’t she? haha…well, i agree wholeheartedly! enjoy your random cuisine! it brings a sense of adventure to my life that i just can’t even touch, literally…or else i die (remember the goal is to not kill adriane). Natto daisuki! But honestly, the other stuff is gag worthy. The problem is, it all involves FISH. 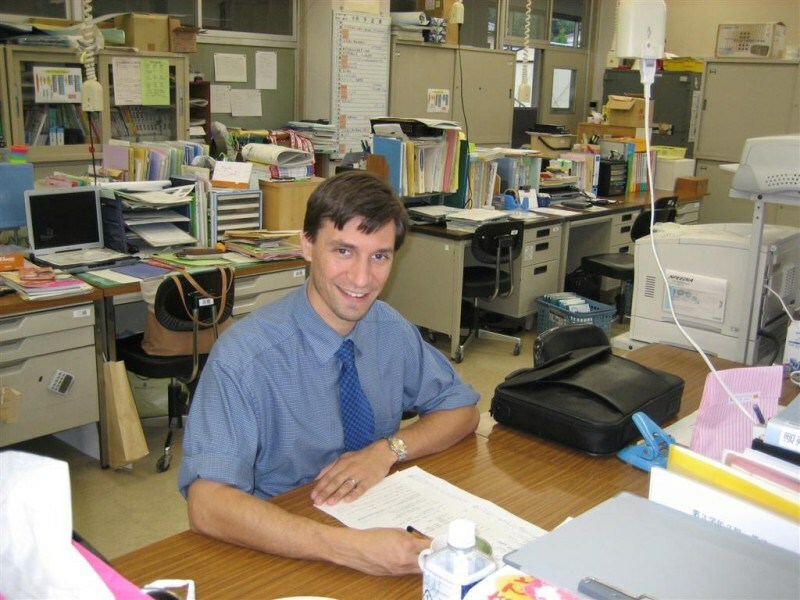 Mike, living in Japan would be better than Weight Watchers and Jenny Craig. Can one survive on green tea alone? Hey we have not heard from Jen, She is there right?